To recognize Black History Month, Mayor John Tory is introducing the Mayor’s Black History Month Creative Writing Contest, which is designed for youth to engage on the topic of Black history and the achievements and contributions made by the community in Toronto. Submissions must be postmarked or received via online submission on or before Tuesday, February 16, 2016. In addition to the contest, many City divisions are hosting Black History Month activities throughout February. Celebrate Black History Month with FREE programs for everyone at the Toronto Public Library branches across the city. 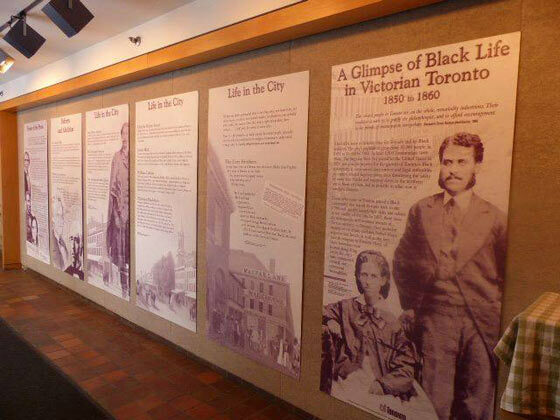 For more info about the celebratory events, please visit http://www.torontopubliclibrary.ca/programs-and-classes/featured/black-history-month.jsp . Mayor John Tory is launching a writing competition to help celebrate Black History Month. Mayor Tory is inviting Toronto youth 11 to 17 years of age to share a story about black Torontonians, past or present, who have contributed to Toronto’s diverse heritage and identity. All submissions should be 500 words or less and can be in the form of an essay, poem, song lyrics, letter, or any other form of creative writing. Entries must be in by Tuesday, February 16 to qualify. Two winners will be selected from each of two age categories: ages 11 to 13 and ages 14 to 17. Winners will be invited to read their entry (optional) during the Mayor’s Black History Month reception on Tuesday, February 23 at Toronto City Hall. Each winner will receive a recognition scroll signed by the Mayor, including an achievement plaque, and the winners’ submissions will be placed on the City of Toronto’s website and social media channels. Contest details and rules, and more information about Black History Month events, are available at toronto.ca/blackhistory.